I challenge you. Especially on the days that you have JUST BEEN BEAT UP! 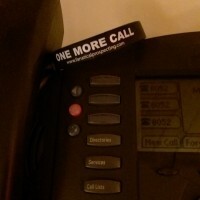 Before you turn off the lights, make that ONE MORE CALL. Previous PostStop, Drop, And Roll – Dealing with an ObjectionNext PostIf you’re anything like me…you will LOVE this secret sales weapon!